It’s the age-old decision that every car shopper must struggle with: will it be a used car or a new one? 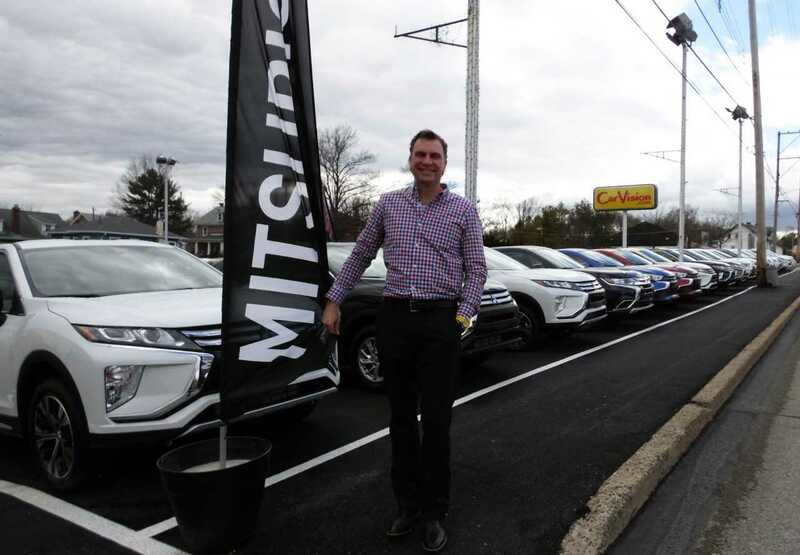 For more than 20 years, that decision was a little easier for those who headed to Car Vision for their next vehicle, since the popular destination at 2626 Ridge Pike in Trooper offered only used vehicles. But earlier this year owner and CEO Dean Cafiero gave his customers a lot more to think about when the operation that spearheaded online used car sales in the area as CarVision.com — browsing through photos, videos, vehicle histories and pricing for every car in the inventory, customers could easily do all their homework before ever stepping foot on the car lot — took on a Mitsubishi franchise and was re-christened Car Vision Mitsubishi, writes Gary Puleo in The Times Herald. In addition to the prestige electric crossover, the current lineup includes the 2018 Eclipse Cross, Outlander, Outlander Sport, Mirage, Mirage G4 and Lancer. Cafiero is especially proud of the fact that not a single Mitsubishi that was sold this year has come back for any warranty work.